From the producers of 90 Day Fiancé, comes a spinoff series! 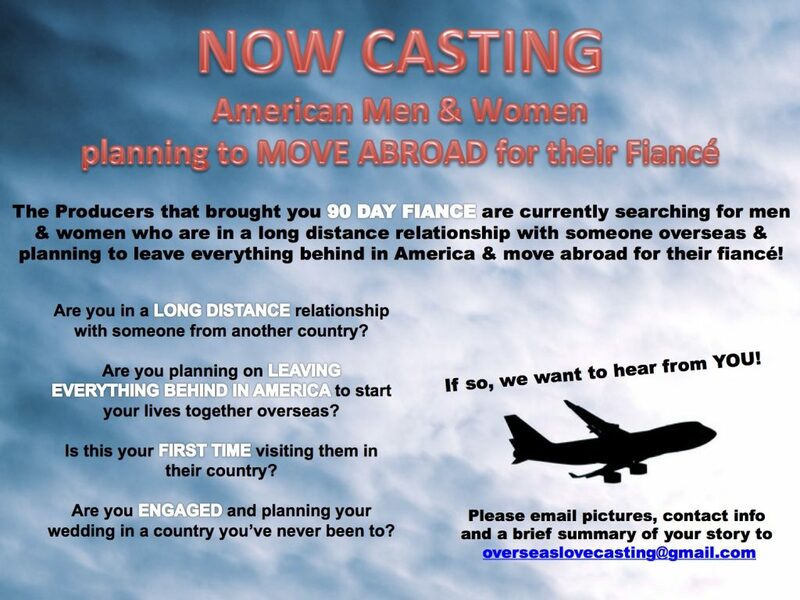 Now seeking long distance couples where the American is moving to a foreign country to be with their significant other! Are you an engaged or serious couple in a long distance relationship? Are you moving abroad to start your life together?